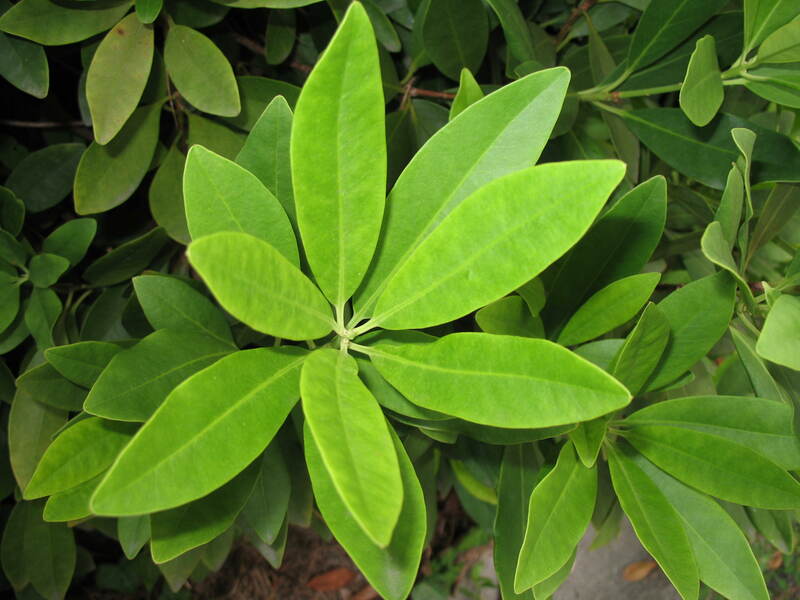 Comments: The thick leaves are dark green, aromatic and are used as a cooking spice. With an upright form, it will fit into narrow or small spaces in the landscape. Leaves are very prone to heavy infestations of leaf gall insects in late summer. Laurel wilt, a new disease of redbay and other plant species in the Lauraceae family is causing widespread problems in the coastal regions of South Carolina, Georgia and Florida. The disease is caused by a fungus that is introduced into trees by an exotic insect, the rebay ambrosia beetle which is native to Asia.